Hu Weijun: "How many questions can you ask if you don't buy Tencent?" 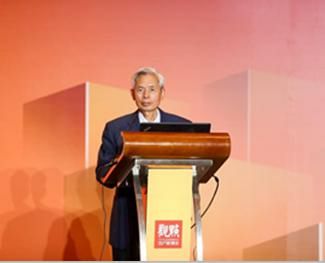 Liu Aiming: It is very likely that the property value tax will be collected in the past two years. Yu Ying: The city where the population flows out. The house bought is a pile of bricks. 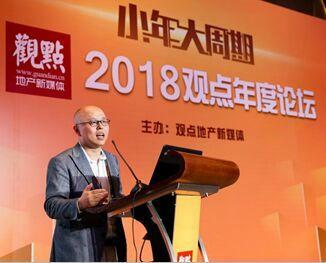 Zhu Zhongyi: The real estate industry has at least a decade of development. Lin Zhong: A good city sells more buildings. A poor city buys more land. Zhang Huarong: There will still be 80 million agricultural people entering the town in the next few years. Commercial real estate now has several characteristics. First, the urbanization rate continues to increase. At the end of last year, everyone clearly felt a series of contents about the development of domestic rail transit. The second is the data on the urbanization rate of urbanization. By the end of 2017, it is 52%. In the next period of time, the relevant state departments should mention 58%. In the next few years, 80 million agricultural people will enter the town, and this year plans to add 13 million urban residents. Behind the business innovation, scene innovation and space innovation, we must be inseparable from the business operations of our entire team and some specific measures for the value of assets, so I hope that in the future development of real estate, that is, in the commercial real estate operation In the era, commercial real estate will become the stadium for the value of more professional players. Dialogue "The era of real estate innovation under the guise of the wind"
Luo Yiming: Long-term rent is more of a residential property. 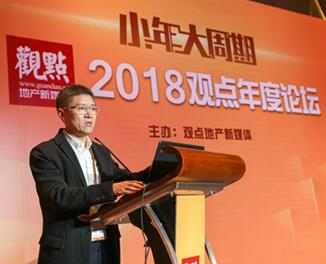 Tang Xuebin: The property industry is not reliable by making money from property management. Zhang Huarong: I am confident that I will live well in the future. I mainly rely on product innovation. Take stock of the most representative companies in China's real estate industry, look for real estate companies that are called Great in this year, real estate companies that dare to pursue Glory, and the real estate group that ranks among the best in China. .
Face-to-face exchanges with industry leaders; visit well-known companies on the spot, find the leading development strategy of the real estate industry in learning exchanges, decode capital finance, and innovate the way; walk into the project and feel the charm of the mature products. Into the industry's most representative well-known enterprises and projects, let you personally feel the unique atmosphere of the industry leader, thinking about the path and method of business success in the field site visit. Face-to-face with the high-level, open up the fog, explore the success and success of the company, share the financial capital strategy and innovation model, and find success in the collision of ideas. Senior instructor representative case teaching, targeted answering questions, decoding methods and paths, internal deep communication. He Jianbo: General Manager of Minmetals Real Estate Co.
Ling Ke:Chairman of Jindi (Group) Co., Ltd.
Forest: Chairman of Xuhui Holdings (Group) Co., Ltd.
Pan Jun: Chairman of Fantasia Holdings Group Co., Ltd.
Sun Chengming: Chairman of China Merchants Shekou Industrial Zone Holdings Co., Ltd.
Tian Ming: Chairman of Landsea Group Co., Ltd.
Xu Huafang: President of Baolong Real Estate Holdings Co., Ltd.
Yu Liang: Chairman of Board of Vanke Enterprise Co., Ltd.
Zou Yimin: Chairman and CEO of Ping An Real Estate Co., Ltd.
Zhou Zheng: Chairman of COFCO Real Estate (Group) Co., Ltd.